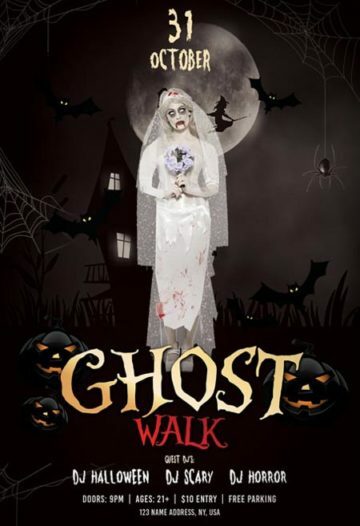 Download the Ghost Walk Halloween Party Free Flyer Template now! 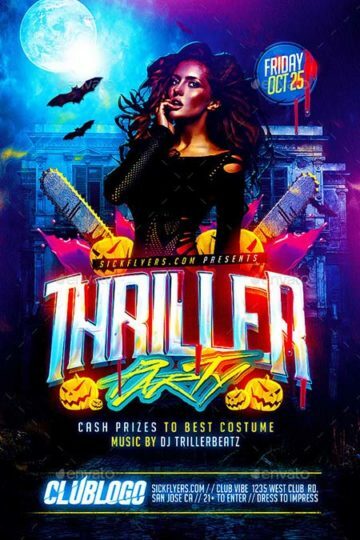 Promote your upcoming Halloween and Costume Party with the Thriller Halloween Party Flyer Template! 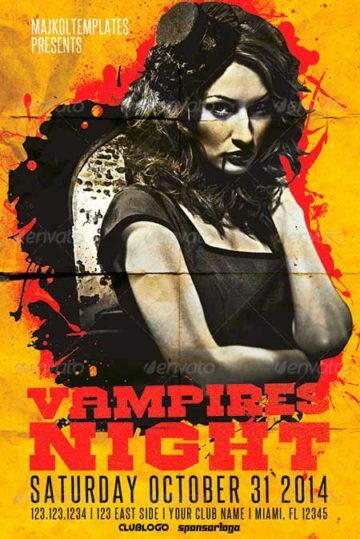 Promote your upcoming Halloween and Costume Party with the Vampires Night Halloween Party Flyer Template! 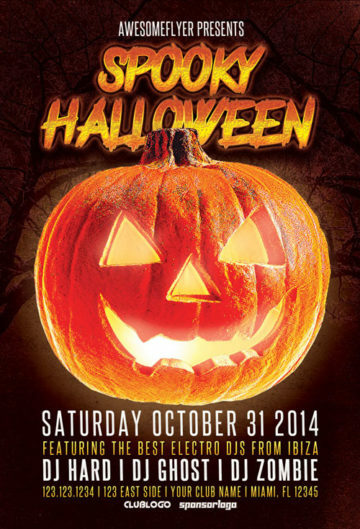 A Fresh Halloween flyer, with a clean vibrant design, detailed elements, and a clean layout. 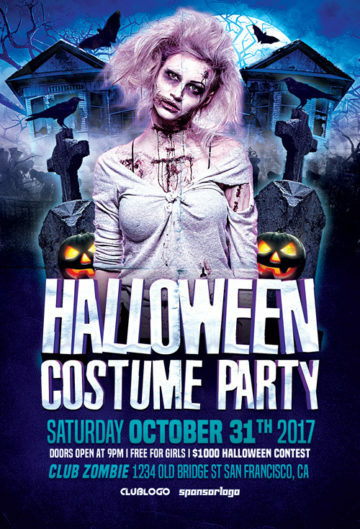 Promote your upcoming Halloween and Costume Party with the Halloween Costume Event Flyer Template! 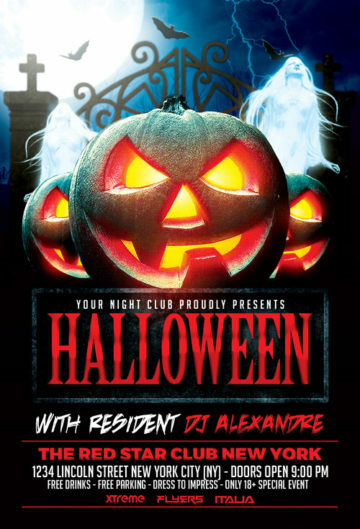 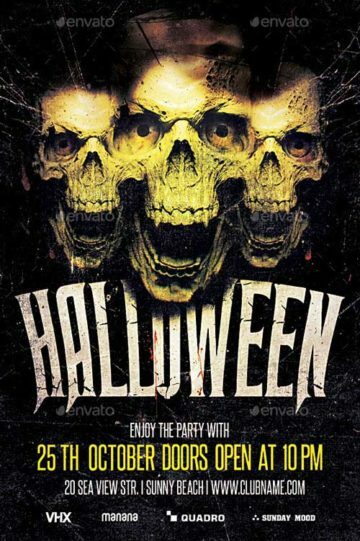 Halloween Nightclub Party Flyer Template - A really great flyer design for your upcoming Halloween club and party event! 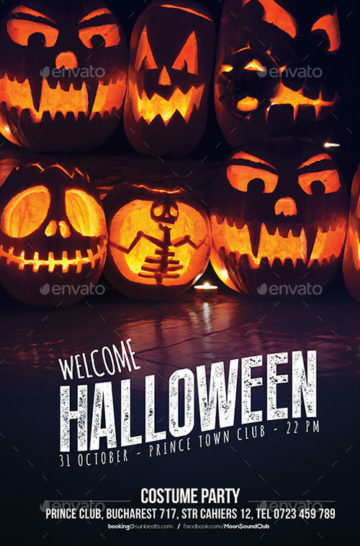 The Halloween Party Gold Pumpkin Flyer Template was designed to promote your next Halloween and Costume Party. 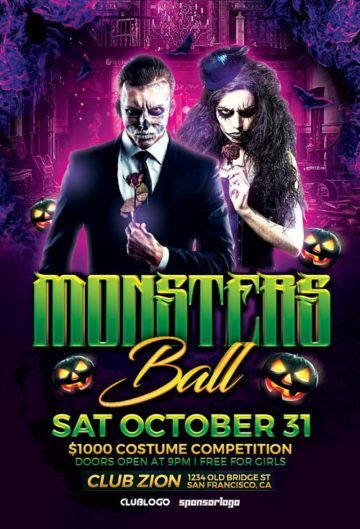 Monsters Ball Flyer Template - A really great flyer design for your upcoming Halloween club and party event! 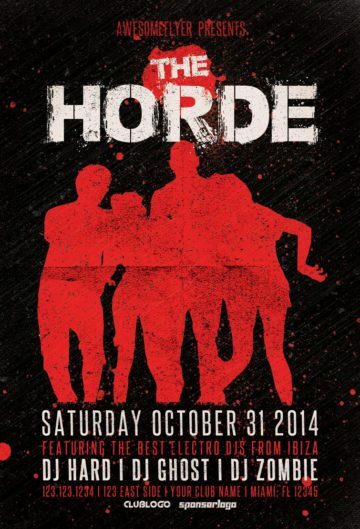 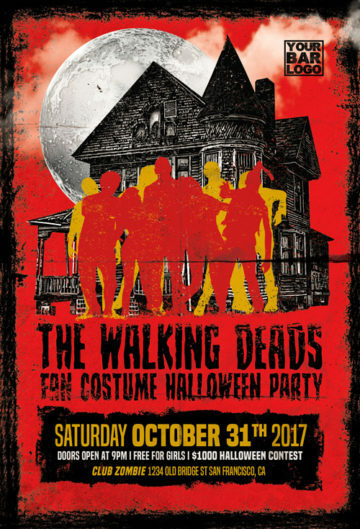 The Horde Halloween Party Flyer Template - A really great flyer design for your upcoming Halloween club and party event! 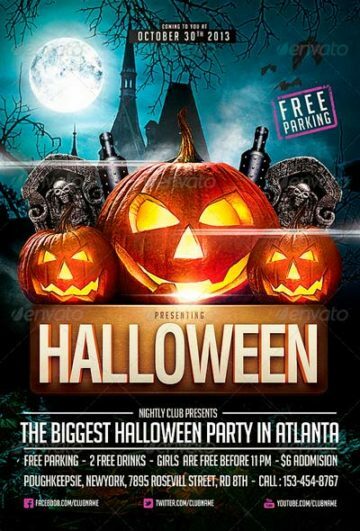 Trick Or Treat Halloween Party Flyer Template - A really great flyer design for your upcoming Halloween club and party event! 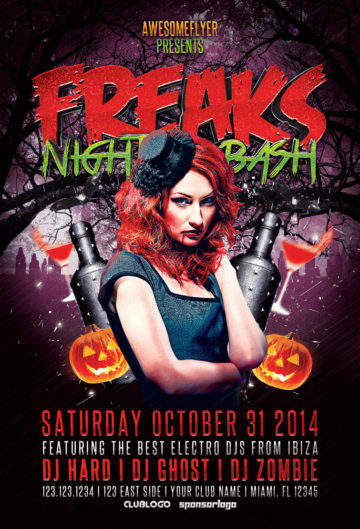 Freaks Night Halloween Party Flyer Template - A really great flyer design for your upcoming Halloween club and party event! 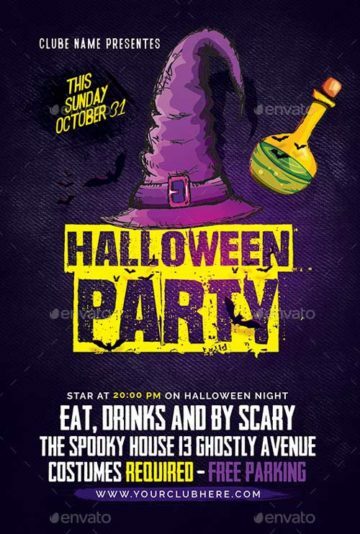 Spooky Halloween Party Flyer Template - A really great flyer design for your upcoming Halloween club and party event! 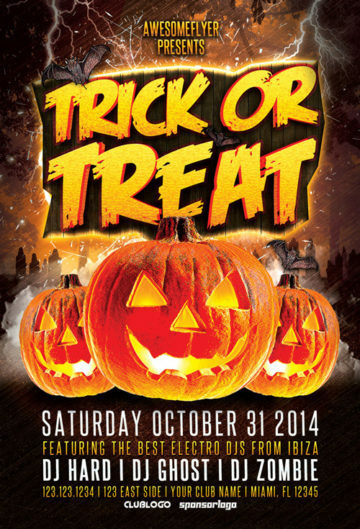 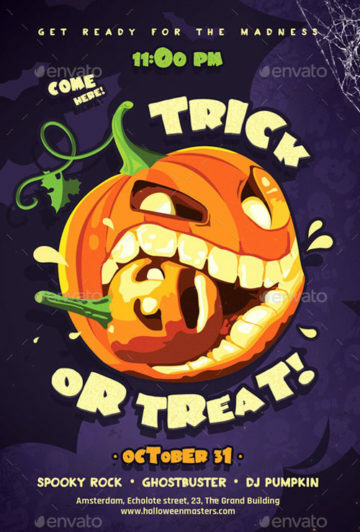 Download the Trick or Treat Halloween Flyer Template for your next Halloween Party and Club Event! 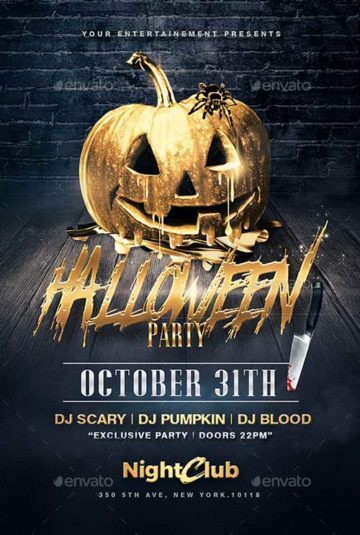 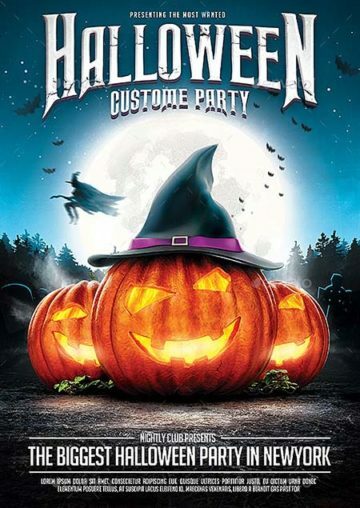 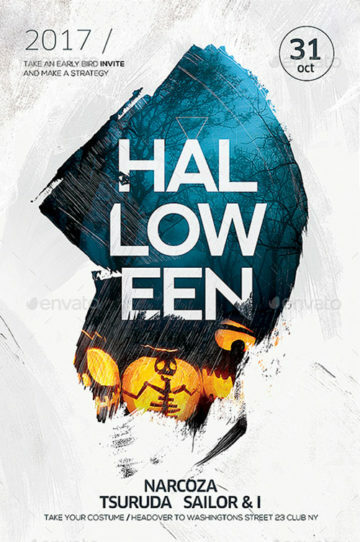 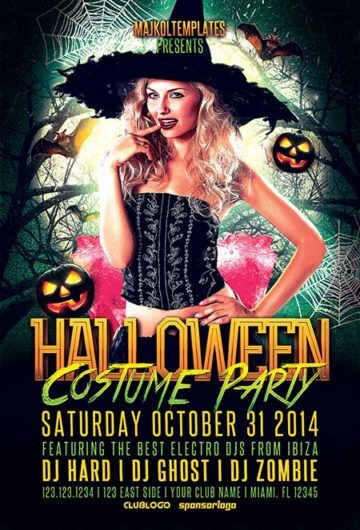 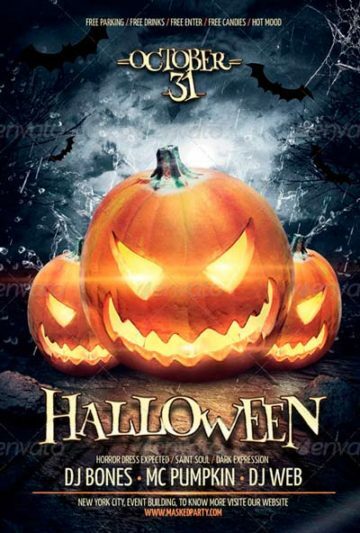 The Halloween Party Event Flyer Template was designed to promote your next Halloween and Costume Party. 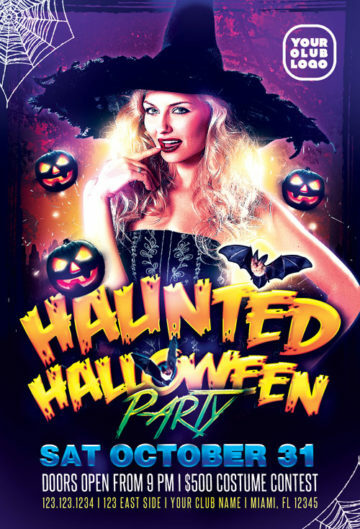 Haunted Halloween Costume Party Flyer Template - A really great flyer design for your upcoming Halloween club and party event! 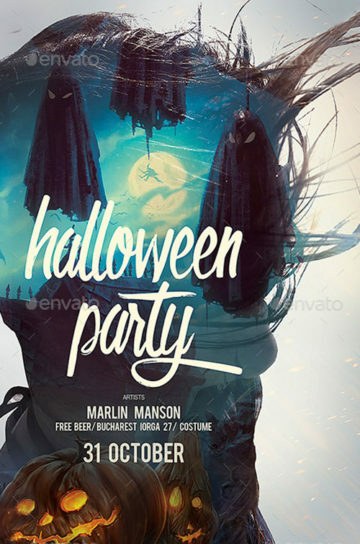 Let Me In Halloween Party Flyer Template - A really great flyer design for your upcoming Halloween club and party event!